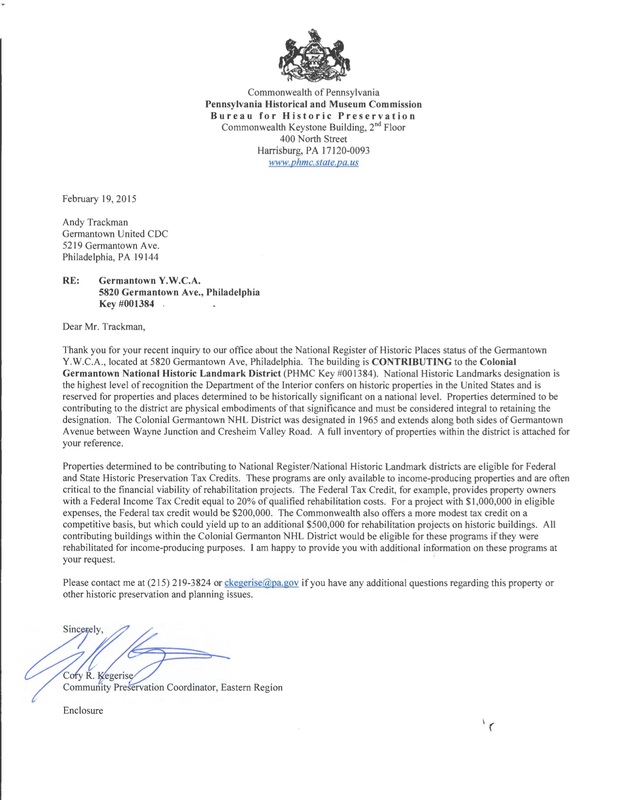 Attached is a letter from the Pennsylvania Historical and Museum Commission confirming the YWCA’s status as a historic building eligible for historic preservation tax credits, as well as a full inventory for the Colonial Germantown NHL District. Sign the petition on Change.org to City of Philadelphia Mayor Michael A. Nutter and voice your support for this great building. Join me in recognizing the historic Germantown YWCA building in Northwest Philadelphia as an icon of American history and civil rights. Do your part to save this building from demolition and authorize the outlay of government funds needed to cover the cost of stabilization. The letter below from Solo/Germantown Civic Association RCO was sent to Councilwoman Bass on February 24, 2015 urging her to “reconsider and accept the Mission First bid” to redevelop the YWCA building into senior housing, in partnership with Ken Weinstein. The RFP was rejected by the Philadelphia Redevelopment Authority in January 2015. While many of the co-signers agree with this position below, some do not. Co-signers of the Save the Historic Germantown YWCA Building have found common ground and are fighting to ensure that the building is protected no matter the outcome with the PRA. The Friends of Vernon Park are deeply troubled by the condition of the YWCA building on the park’s northern edge. For 8 years we have watched its disintegration with increasing concern. 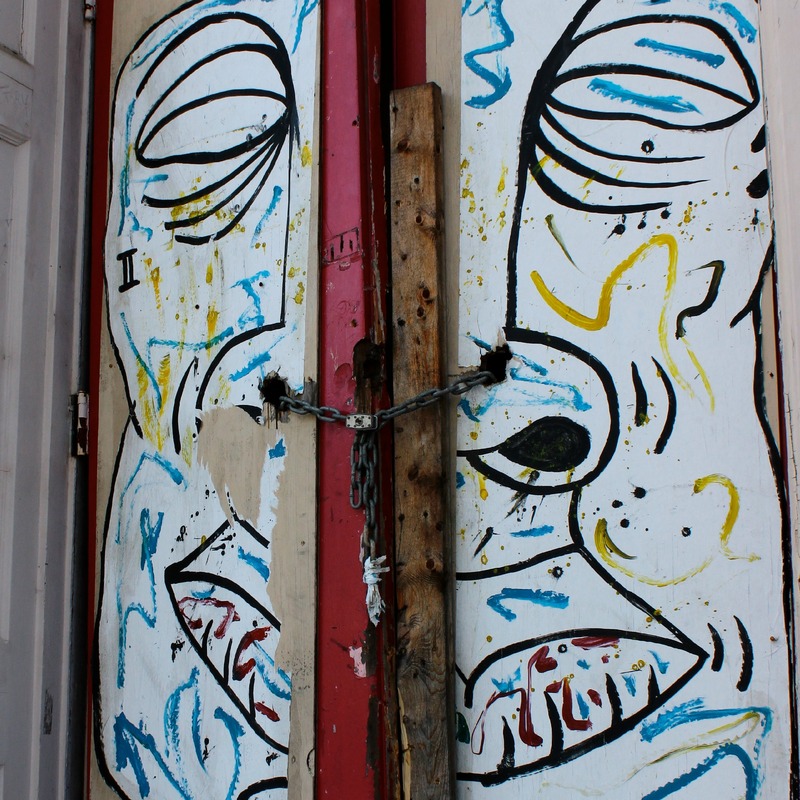 The building has never been adequately secured, and is a magnet for crime, trash and ugliness. We hope that it will not remain unsecured any longer, no matter what its future holds. Time is of the essence, especially in this extremely harsh winter with potential major ice damage. The community deserves a full report from city structural engineers and a clear process for proposals for the future development of the building. Friends of Vernon Park are willing to work with others to ensure a positive outcome for everyone in the neighborhood. Watch full video of the first community meeting about saving the YWCA, held on January 22, 2015 at First United Methodist Church of Germantown (FUMCOG).